Claim: natural variation 'masked' global warming, creating 'the pause' | Watts Up With That? Statistical analysis of average global temperatures between 1998 and 2013 shows that the slowdown in global warming during this period is consistent with natural variations in temperature, according to research by McGill University physics professor Shaun Lovejoy. In a paper published this month in Geophysical Research Letters, Lovejoy concludes that a natural cooling fluctuation during this period largely masked the warming effects of a continued increase in man-made emissions of carbon dioxide and other greenhouse gases. The new study applies a statistical methodology developed by the McGill researcher in a previous paper, published in April in the journal Climate Dynamics. The earlier study — which used pre-industrial temperature proxies to analyze historical climate patterns — ruled out, with more than 99% certainty, the possibility that global warming in the industrial era is just a natural fluctuation in the earth’s climate. In his new paper, Lovejoy applies the same approach to the 15-year period after 1998, during which globally averaged temperatures remained high by historical standards, but were somewhat below most predictions generated by the complex computer models used by scientists to estimate the effects of greenhouse-gas emissions. The deceleration in rising temperatures during this 15-year period is sometimes referred to as a “pause” or “hiatus” in global warming, and has raised questions about why the rate of surface warming on Earth has been markedly slower than in previous decades. Since levels of greenhouse gases have continued to rise throughout the period, some skeptics have argued that the recent pattern undercuts the theory that global warming in the industrial era has been caused largely by man-made emissions from the burning of fossil fuels. The methodology developed in Lovejoy’s two recent papers could also be used by researchers to help analyze precipitation trends and regional climate variability and to develop new stochastic methods of climate forecasting, he adds. An approach complementary to General Circulation Models (GCMs), using the anthropogenic CO2 radiative forcing as a linear surrogate for all anthropogenic forcings [Lovejoy, 2014], was recently developed for quantifying human impacts. Using preindustrial multiproxy series and scaling arguments, the probabilities of natural fluctuations at time lags up to 125 years were determined. The hypothesis that the industrial epoch warming was a giant natural fluctuation was rejected with 99.9% confidence. In this paper, this method is extended to the determination of event return times. Over the period 1880–2013, the largest 32 year event is expected to be 0.47 K, effectively explaining the postwar cooling (amplitude 0.42–0.47 K). Similarly, the “pause” since 1998 (0.28–0.37 K) has a return period of 20–50 years (not so unusual). It is nearly cancelled by the pre-pause warming event (1992–1998, return period 30–40 years); the pause is no more than natural variability. July 21, 2014 in Hiatus in Global Warming. Funny thing, natural variation can only cause temps to go down, if they to up its, da da daaaaa, Globul Warming! Naturally. All those other giant natural fluctuations were natural, but, this one….this one is special. It is stronger than we thought. So, the author should make some predictions with error bars. Let’s see if they come true. It is also amazing that during the ‘pause’ the natural variations have been precisely enough to keep the change in global average temperatures statistically zero. The chances of the natural cyclic variations matching the ‘anthropogenic forcing’ for more than 17 years must be incalculably small. I rather fancy Professor Lovejoy talks to the faeries at the bottom of his garden, or has a real problem with understanding of probabilities. Good thing I got me a SUV. No telin’ how colt it a be iffin I was drvin’ one a them volts. Just more evidence of the crisis in which mainstream Climate Scientists currently find themselves in with the hiatus and climate model-randon number generators. I bought [a] couple of Anthony’s “I Believe In Climate ^Science Change” bumper stickers last year. More applicable than ever. So when temps go down it’s natural variation, when they go up it’s climate change? Isn’t that called observer bias? I can not wrap my head around this type of logic.. the reverse engineering of a flaw to correct it is one thing, but to reinvent a square wheel and call it round is just absurd. So, they expect warming to commence any minute now, then. Could be fun to watch. It’s just getting sad. Eventually climastrologists are going to have to admit the truth, that radiative gases don’t have a net warming effect in our atmosphere. Yet the models they defend say the opposite. They are just delaying the inevitable and ultimately there is no point. Everything built on this failed hypothesis from careers, subsidies and hot air trading systems will collapse. Every day, every hour and every second this foolishness goes on just makes the final fallout worse and worse and worse. And if the hiatus last for another 15 years, making it a total of 30 years, it will still be ” consistent with pre-industrial temperature swings”. So what did the statistical exercise performed as part of the paper tell us? Nothing. If natural variation can cause “the pause” how much of “the hockey stick” can that cause? So natural variation can cause cooling, but absolutely cannot cause warming. Right? So how did they statistically factor out those 500 to 1500 year natural cycles that gave us the MWP and LIA? Hey all you guys who know lots more about this than I do….what’s up with all the latest hoopla this week about 2013 being the hottest on record? I’ve been searching WUWT and some other sites to see what the scientific response is, but not seeing anything yet. Is anyone disputing it yet with substantive analysis? From my purely objective perspective, the 2013/2014 winter was setting all kinds of cold and ice records…coldest temps, latest snows, latest ice cover, etc. Seems like the “pause” is still continuing so these wild claims always baffle me. i was just watching an episode of the Sagan show Cosmos – remade mostly it seems to include doom and gloom CAGW of course! BUT – these changes were only catastrophic when extreme cold occurred compared to heat which was mostly beneficial to life on earth..
Natural variation seems to be masking everything – probably because the null hypothesis remains in effect. This paper is going to be a short lived event – they’re still trying for a sensitivity of 3c / doubling, which implicitly posits that the pause is an extreme cooling event which cannot last for much longer. Yeah, I would consider zero temperature rise to be something of a “deceleration” and “markedly slower” also. On the other hand, they did use the term “skeptics” instead of the alternative, so it could have been worse. Question….did he use the temp history that showed temps falling?….or the one that showed temps flat?….or the one that showed temps rising? Give it up guys …. So we’re kinda going full circle here. Before the pause sank its roots deep into the data, skeptics pointed out that the warming we were seeing was well within natural variability. We were poo pooed as complete morons by climate “scientists” who insisted that natural variability was far to small to account for the anthropegenic warming signal being measured. Now they wish to argue that, in fact, natural variability is large enough to not only swamp the anthropogenic signal, but large enough to do so for 15+ years. Given that the earth has been warming since the LIA, some 300 to 400 years, I see no reason why we should expect anything different for the next few hundred years. Fact is though, that should warming return, natural variability can’t be discounted as too small to cause it, because they’ve just stipulated that it must be large enough to explain the pause. They can only flip flop so often. I am constantly shocked at how often, but there has to be an end to it at some point. I think. Did you guys know that global warming makes people shorter? The only reason it looks like people are getting taller is because better nutrition is masking the effects of CO2 on height. Just wait we will all be tiny by 2100. HEADLINE: Scientists from NASA and NOAA have discovered Global Pausing! The one thing for sure now is “the pause” or “the hiatus” or whatever is starting to make more and more headlines. Only a few months ago we were being told there was no pause or slight cooling, it was still rising. Now we are being told that natural variations in the climate cycle are stronger than AGW! They are contradicting their own story now. The sad thing here we probably paid quite a few bucks for this useless study. AUDIO 29 MINS: 21 July: BBC Discovery: What has Happened to El Nino? At the start of 2014 meteorologists warned of a possible El Nino event this year. The portents were persuasive – a warming of the central Pacific much like that which preceded the powerful El Nino event of 1997. But since then the Pacific climate system seems to have stalled. What’s going on? What are the prospects for an El Nino to develop later this year? What impacts might it have? Roland Pease delves below the Pacific surface to find out what drives El Nino cycles, the most powerful single climate fluctuation on the planet, and asks the experts why it is so hard to forecast. “The year started with a bang,” one expert tells Discovery – will it end with a whimper? So, Lovejoy reports a belief that the principle driver is natural variation. Welcome to the flat-earth denier camp, Lovejoy. Have a seat right over there with the other deniers like the GISTEMP data set. Statistics is not a substitute for physics. Lovejoy’s previous statistical study could only have ruled out to 99% confidence that the present increase in temperature is not statistically equivalent to historically previous temperature swings. Such a study says nothing whatever about physical causality. Lovejoy’s study must also have assumed the consensus confidence intervals of the global surface air temperature record. You’ll remember those intervals — the ones that reflect the consensus assumption that systematic measurement error is stochastic. You believe natural variation is the cause for temperature trend? GASP! Welcome to the denier camp, Lovejoy, you flat-earther. we’re all going to die…………. The Cult members always have an explanation for why things are not as they previously predicted. More proof that it is a Cult. But look at it this way: with all the twisting and turning they are doing now they will not have any credible outs as it gets colder and colder. At least this idiot is not saying the heat is hiding in the deep ocean. He is actually admitting the the heat is not increasing. Progress! Which changes the fact that the temps haven’t changed by an amount worth talking about for 15+ years how? Let’s try and put your alarming “news” about the recent temps in perspective. Say you start a bank account, and ever year for 100 years, you put $1,000.00 in it. You’ve picked a really sh*tty bank though, they don’t pay interest, so after 100 years, you’ve got 100,000.00 in the bank. In year 101, you put in a single penny. Congrats, you’ve now got 100,000.01 in the bank. In year 102, you put another penny in. Congrats, you’ve now got 100,000.02 in the bank. In year 103, another penny goes in, and you’ve got 100,000.03 in the bank. Now Felix, it would be quite accurate to say you’ve had the most money ever in year 103. In fact, you could even say that the last 3 years have all set new records for the amount of money you have in the bank. Those statements would both be true. But the fact of the matter is that years 101 thru 103 are meaningless. You’ve had a pause in your savings, and trying to claim otherwise is just silly. Your savings from the last 3 years are effectively zero. We’ve been warming since the LIA, several hundred years ago at a reasonably constant rate. This century was warmer than the last, and that one was warmer than the one before. But the warming is no longer happening at $1000.00 per year, it is happening at $.01 per year. Hence all the scientists trying to explain the reasons why, for they would look rather silly trying to explain that $.01 is significant, so they stick to announcing records instead, no matter by how small. Come on guys, we can measure CO2, we can determine the (wrong) climate sensitivity the delta-T for a doubling of CO2, but the authors here don’t say what natural variability is made of, how to measure it, or how to predict its impact. The dog must have been very hungry. Oh, I think it is generally conceded that the pre-CO2 Age warming prior to 1950 was largely natural. We need to be real about this. I think that ENSO/PDO may be keeping things flat now: We are in a negative PDO, but not much cooling. That would account for a lot of Trenberth’s “missing heat”. I think T. was pretty much just “rediscovering” the PDO, actually. OTOH, with this new OHC study, maybe not so much. The flip side being that when SO was positive, a lot of that warming was natural. The figures do have to add up. Sort of. Somehow. This has become a Soap Oprah. At the end of every episode there is another twist to the story. Will climate change, change it’s name again? will they find the hiding place of the lost heat? will the main character “Climate change” have a personality change and morph into global cooling? Will Al Gore convert to climate cooling and star in the new movie a convenient lie? will Michael Mann finally purge his conscience and admit his mistakes. Stay tuned for the next exciting episode of Climate Change. felix,the data manipulation to come to the conclusion that june somehow broke a global temperature record was quite frankly painful . the notion of global temperature being measured accurately over any period is farcical. i do not care who disagrees with that statement ,from agw advocate to sceptic,they are all wrong. Lovejoy. Isn’t he the guy who says the uncertainty for global mean temperature is only 0.03 deg C, so can be safely ignored? NOAA would beg to differ . . . But the preceding warming wasn’t? I’m new to this but, if the warmists recognize a pause how can the Guardian claim 352 consecutive months of above average temperatures. Would that not refute a pause? The Guardian is feeding the public a load of crap. Satellite data — the most accurate of all — shows that global warming stopped many years ago. There is lots of false propaganda in the media. The Guardian is not the only prevaricator. Even Scientific American lies about the “carbon” scare. Stick with this site. You will learn to sift the truth from the chaff. I’ll focus on Equation (1) of the paper at http://www.physics.mcgill.ca/~gang/eprints/eprintLovejoy/neweprint/Anthropause.GRL.final.13.6.14bbis.pdf. What, if anything, is the author’s justification for assuming this equation? He does not say. Should we assume the paper’s conclusions to be true? Obviously not. I’ll have to read his earlier paper to see how he dismissed the warming before 1945 as not being as significant as the warming after 1976. “Natural variabiity” does not explain anything – it merely demonstrates the inability of climate science to understand how climates work. Thx DBS that strikes the Guardian off my reading list. The most significant thing about the “pause” is not that temperatures are not increasing, but that climate models did not predict it, and, therefore, the long term trend must not be as steep or dangerous as alarmists have tried to scare the public into believing it is. The paper is arguing a straw man. One really has to wonder how much longer “natural variation” “pauses” “global warming” for before they’ll admit they could be wrong. No Felix you give it up. For what % of the Earths history do we have “records” for (irregardless of the quality) and how big was the magnitude of your new Record warmth relative to the norm? Come on now show us your stuff, inquiring minds want to know. There is no such physical property called “Climate sensitivity” it is not really a thing… the “delta-T for a doubling of CO2” is based on no physical premise which can effect a planets climate, anymore than natural variability does or does not effect the climate. A doubling of CO2 under static conditions and quantities do not control the climate of those static conditions. This would be like first proving a static condition, and then using it to prove that a static condition is a variable influence on another even greater variable. Do you see the physical problem? This is hilarious, because the 1980~1998 warming trend is identical to the warming trend from 1913~1940, which even the IPCC admits could not have been caused by CO2 induced warming. Why are we still wasting $trillions on this CAGW scam? Almost all of the warming since the end of Little Ice Age can ONLY be attributed to natural variation. For the CAGW hypothesis to reach its minimum projected warming of 3C by 2100, the global warming trend would need to be around 0.3C/DECADE starting from tomorrow and to hold this trend for the next 8.6 decades…. That AIN’T going to happen. The world is getting sick and tired of hearing the dog-ate-my-warming excuses. NONE of CAGW’s projections are even CLOSE to matching reality: OHC, global warming trend, extreme weather incidence, sea level rise, ocean pH, ad nauseam. I will look at the paper later, it may show that the recent hiatus is consistent or caused by natural variability but to show that CO2 has something to do with the warming it has to also show that the warming from 1980 to 1998 is not consistent with natural variability. If it does not consider variability from 1910 to 1976 the analysis is incomplete. If a recent month is the warmest on record, it says nothing about whether the cause is CO2 or natural variability. There is a point where confirmation bias crosses over the line into just plain clueless, agenda driven crap. We appear to have passed that point. The climate obsessed travel full circle: If it gets warmer, it is a climate crisis. If it gets cooler, it is a climate crisis. If it is natural fluctuation, it is a cliamte crisis. The climate obsession turns critical thinking into circular reasoning. No reflection on the idea that if ‘natural fluctuation’ can mask what as recently as 1998 was a “planetary emergency”, then perhaps the emergency was not really so uniquely dangerous. No reflection on the idea that if a world ending process was underway, it should not be so difficult to actually measure. So, as I understand it, the “pause” is now longer than the “rise”. The models correctly modelled the rise, usually by hind-cast i.e. they fitted the known temperature record at that time. Now that the models are in forecast mode they are proving to be more and more inaccurate. I suggest we develop some new models that fit the current hind-cast and then see how they look going forwards. In other words; throw away the old models, figure out what was missing, add that in and then start again. If these people are that confident that they now know what the “natural variability” factors are; they should incorporate them into the models and then publish their findings. Instead it seems that are happy to “explain” that it’s natural variability without incorporating that into a model and make new predictions. To my mind this is equivalent to rearranging the deck chairs on the Titanic. I recall hanging on to a copy, but it’s packed away from remodeling. Does anyone know if Steve McIntyre ever took a look at Shaun Lovejoy’s previous paper? I find the claim that Lovejoy’s statistical analysis ruled out the possibility global warming is just a natural fluctuation in the earth’s climate with 99.9% certainty to be impossible. The pre-industrial temperature proxies that he used in his analysis have too many uncertainties to allow anywhere near that kind of accuracy. It would be nice to have McIntyre analyze Lovejoy’s statistical analysis. Ah. The old principle of pausible deniability…. “variations in pre-industrial temperature reconstructions”, i.e. variations of adjustments to arrive at a preferred end state. Now try looking at the satellite records. I do, though, love the way in which you chaps jump from “climate is multi-decadal” to “hottest month on record” without pausing to think about what you are saying. I’m not sure how much time I want to waste looking at Dr. Lovejoy’s paper. I wasted a bukuload last time around and walked away with the impression that either the man knew he was playing games with assumptions in statistics or that he wasn’t as good with applied statistics as he thought (1). So I haven’t read the paper. Maybe I’ll look at it this week. My question goes like this; if we’ve only been pumping large amounts of CO2 into the atmosphere for about 100 years now, how can you tell the difference statistically between a pause and warming that just isn’t there? What would it look like statistically if there were a percent or two change in cloud cover? I suspect there are more games being played with assumptions here. (1)- Dr. Lovejoy’s maths are way better than mine. This said, I listened to the opinions of people with better stat skills than me. Caveat emptor. You ask the apt question of “how can you tell the difference statistically between a pause and warming that just isn’t there?” My answer is that one can hope to tell the difference when this question is posed statistically. To pose it statistically is not accomplished by Dr. Lovejoy’s paper. This paper replaces a statistical description by the paper’s Equation 1. To pose this question statistically is to identify the set of independent events underlying the associated model. This set is not identified by Lovejoy’s paper. So nature conspired to “hide the rise”? Diabolical. Are there emails? For the core group of environmental alarmists, I fear the answer is… til the end of time. Climatologists extend the period in which they’ll not admit that they are wrong to the end of time through applications of the equivocation fallacy: through the use of equivocal language they avoid making statements that are susceptible to being proved false. Details are presented in my peer-reviewed article at http://wmbriggs.com/blog/?p=7923 . Thanks for sharing. A barrier to throwing out the old models and replacing them with new models is that with rare exceptions the arguments made by global warming models are not falsifiable. Under the scientific method of investigation we throw out models that have been falsified. Here, even though the models exhibit error, they are not falsifiable. The falsifiability of a model is dependent upon the existence of the underlying statistical population. With rare exceptions, there is no such population. Absolutely correct and now you may be able to show that the warming between 1978 and 1995 or thereabouts was caused by recovery from a variation. You see natural variations go both ways as well. Middle of winter here in Sydney. Feeling cold as i left for work at 3.00 am . Apparently i was actually hot, its just that it was being masked by the cold. The IPCC has never produced a chart showing natural variability above 0.1C over any period of time. Now Lovejoy comes along and says it might be up to 0.37C. Sorry, you guys are a bunch of fake scientists making stuff up as you go along and re-writing history as you go along. When does this hypocrisy end. So could the “natural variation” cause the temperatures to rise quicker than expected OR does this work only one way for the alarmists? Does he clarify how the 0.3C of warming between 1980-2000 was ruled out as [not] natural with 99% certainty… yet he proposes cooling of 0.3C between 2000-2014, which he asserts was completely natural? “The Global Warming crowd is now desperately trying to counter-act the data that says they are quite frankly about as credible as the old Y2K crowd back in 2000. The data have clearly shown that they have lied, manipulated, and outright carried out a major fraud upon society. They argue that man has altered the entire planet in just a few decades which is like focusing on a 7 day reaction in a bear market and declaring it’s really a bull market. The theory is totally unsound simply from a realistic research perspective. The fact that surface temperatures have not warmed over the past 17 years showing that their climate models are unreliable, is now amazingly being refuted with quick new research led by James Risbey. In just a matter of weeks, he is leading the charge demonstrating his clearly predisposed bias. Risbey now excuses their nonsense of models that have overestimated global warming with a slapped together study published in Nature Climate Change asserting that their models actually generate good estimates of recent and past trends provided they also took into account natural variability known as El Nino-La Nina phases in the Pacific. OOPS! Cycles? Risbey claims that the skeptics have lately relied on a naturally cool phase of the global cycle to fan doubts about climate change, the fact temperature records continue to fall even during a La-Nina dominated period is notable. Yet his argument reveals his own mistake – HELLO THERE ARE CYCLES. He boldly states that the temperature rising from the build-up of greenhouse gases in the atmosphere “is beginning to overwhelm the natural variability on even shorter decadal time scales”. Quite frankly, he lacks any historical evidence long-term to support any such conclusion. As long as people like this put out bogus research, they have a job. Without global warming theory, sorry, they need to find something else to scare people with to get a pay check for shallow research. Natural cooling variation from exactly what? what’s up with all the latest hoopla this week about 2013 being the hottest on record? I saw something about 2013 being from 2nd to 6th warmest. However it ranked 10th on RSS and 8th on Hadcrut4. Historical standards? What historical standards? If it’s “historical” standards established by satellite measurements then, yes, since those measurements only starts in 1979 and don’t provide much of a history. But if it’s historical standards established by the thermometer record, then, yes, because: (1) the data has been repeatedly adjusted; (2) the thermometer was invented during the depths of the Little Ice Age; and (3) the Little Ice Age is recent in comparison to the earth. If it’s historical standards established by the paleoclimate proxy record, then NO, not even close. Ten of thousands of 15-year periods have been warmer in the Holocene, to say nothing of millennia during the Eemian integlacial, the interglacials which preceded it during the Pleistocene, previously in the Pliocene, Miocene, Oligocene, Eocene & Paleocene Epochs, most if not all of the Mesozoic Era & most of the Paleozoic, with rare exceptions. The ready availability of cheap computing power to third rate academics is a dangerous thing. GISS has June 2014 at 0.62 at the third highest, and way below its 1998 value of 0.75. The temps could not have been 0.X oC average world wide. Felix is trying to get by, deliberately or not, with bs. Don’t let the climate obsessed set the agenda. This is all about anomalies, not actual temperatures. Derived through huge interpolative processes that are not proven to add to accuracy, much less deliver anything of any significance. Think of the dynamic range of temps around the planet and then consider is 0.XoC could ever be significant in the first place. The climate obsessed have set the agenda for decades and all we have to show for it is billions upon billions wasted, a lot useless data and government policies that are even less useful than normal. Challenge their agendas, challenge their assumptions. No, and to illustrate this, a 50 year old man who stopped growing at age 20 could say he was above his average height for the last 360 months. That does not mean he continued to grow for the last 30 years. Felix, it’s the “highest” temps now because we just had/are having a solar “max” peak this summer, and temps for 17+ years have been riding on top of a literal heatwave that crested to current levels after the 1997/98 El Nino, after climbing during an extended period where the Earth retained extra heat from higher solar activity. If this is a surprise to you, don’t feel bad, many people here are also finding out for the first time how the Sun dictates temps with it’s activity cycles. Solar variation is natural too. Look at your source http://www.ncdc.noaa.gov/sotc/global/2014/6 , where they say “The combined global land and ocean average surface temperature for the January–June period (year-to-date) was 0.67°C (1.21°F) above the 20th century average of 13.5°C (56.3°F), tying with 2002 as the third warmest such period on record. The high temp record in 2002 followed the 2nd peak (of the solar max) of SC23 in late 2001. It is not a coincidence that the warm temp records occurred at or after solar maxes in SC23 and SC24. Is an anagram for what? Felix is trying to get by, deliberately or not, with bs. However so far, no other global data set that is out for June agrees with NOAA. That includes GISS, RSS and UAH. My head hurts and I need an Excedrin. Natural variability can cause the pause but not the previous warming trend? Oh and sophisticated computer models, none of which have been correct? Now I need a shot of scotch to go with that Excedrin. I take great exception to this person’s use of the term “denier”, for starters. But let’s ask, since he seems to think he’s invented a new branch of infallible statistical analysis which can determine that the last few decades of warming can only be attributable to man—when no one even knows all the sinks and sources of this trace gas he’s so consumed with—what does his analysis say of the fact that nearly every GCM today has an increasing divergence from all measured surface temperature records: satellite, surface station, or radiosonde? And that this increasing divergence is that they are all uniformly HIGHER than measured temperatures? What is the statistical possibility of THAT, if they’re all so accurate? The key innovations were the use of the CO2 radiative forcing as a linear surrogate for all the anthropogenic effects and the use of scaling fluctuation analysis on multiproxy temperatures to deduce bounds on the extreme probability tails of centennial scale fluctuation probability distributions. The justifications… “…the tight relationship between global economic activity and emissions…” Confirmed by statistical analysis of the residuals. GIGO, anybody? Look, aside from the obvious, that correlation is not causation, there’s this inconvenient fact: it’s technology which has mitigated a great deal of pollution already. It’s clear to anyone who reads history that between them, London, New York and Pittsburgh probably put out as much smog combined as all of Asia today, prior to 1950. And now they do not. Why? Because they don’t use wood and coal burning stoves to cook anymore. Why not? Electricity, natural gas, oil, and more efficient burning of fossil fuels. Oh, and refrigeration, oddly enough (smoking, as a method of commercial food preservation, is mostly a delicacy now, yes? And that’s not the only impact—but I don’t want to get too far afield). The primary reason the developing world is so polluted and polluting isn’t merely that the developed nations are exporting their pollution, or imperialism, or any other claim—it’s because they don’t have the affluence that comes from that “economic actcivity” to afford the efficient methods of energy generation which would allow them to reduce their CO2 output, among other things they generate. But ok, Lovejoy claims to have proven that the warming cannot be natural, and though he hasn’t proven it’s anthropogenic, gee, what else might it be? Leaving aside the fact that most of the skeptical community is asking the same question (sans the prejudice that it MUST be man’s fault–and yet, I agree with them to this extent: it IS Mann’s fault…well, with the help of Algore and Schneider et al…), let’s just assume, for the moment, that we know the earth is 4.3 billion years old. Just how accurate are we trying to be about this mythical critter, “Global Mean Temperature”, the mean surface temp? As our host has proven with a project a few years back, not only do we not have terribly accurate surface temperature monitoring stations due to poor locations and poor station upkeep, but we don’t have high granularity over the surface even over land, to say nothing of the surface over water, to calculate a mean, and the satellite record is far too short to provide more than the mean over the last three decades. But mean over what duration? Between sundown and sunup would produce a sort of misleading curve, right? Sunup to Sundown? I bet the Alarmists would love that! Just since the Industrial Revolution? That choice seems to have some justification, except that we can prove that the temperatures were still rising from the depths of the Little Ice Age. Since the Winsconsin Glaciation? Perhaps the one previous? Why not use the mean since as far back as we’ve got proxies? If we look at a timescale a wee bit longer than just the period during the last 5 million years or so when glaciation occurs pretty regularly every 100,000 years or so with a 15-20,000 year interglacial, we can see that the earth has been in a glaciation for roughly 2.67million years, really, and from a more general perspective, even longer: 34 million years (that being roughly how long there’s been an Antarctic ice cap, the Arctic cap being in place for roughly the last 27 million). 34 Million. Long time, right? Lemme put it in a different perspective: one THOUSANDTH of the time the earth has existed. And for nearly 80% of the other 99.99% of it’s existence, the mean temperature had been what, about 22 degrees celcius? Even just going back to the and of pre-Cambrian times, 600Mya, only 120 million years or so were under 22 degrees C mean temp, and 100 million years of that between the mid-Devonian and the beginning of the Triassic where, as the CO2 content of the atmosphere dropped, temperatures skyrocketed from ice age to over 22 degrees C (skyrocketed…over a few million years). Seems to me that it could get a LOT warmer than it is right now, and STILL be natural, because compared to 99.9999% of the earth’s existence, it’s been a lot warmer than it is currently. And where was the statistical analysis of this in Lovejoy’s paper? It wasn’t, because no one really can; we’re talking about reconstructions from proxies, right (oh wait, what was he saying about “multiproxy temperatures?)? So we don’t know that much about the past, except broadly speaking, but the past might have a very profound affect on our present and future if as some suspect, the earth appears to be warming because in reality it’s simply returning to an equilibrium that it has maintained, more or less, for most of it’s existence (because hey, if we can’t explain why CO2 could be 7000 ppmv at 22 Degrees C in the Cambrian, and 1000 ppmv and 22 Degrees in the Jurassic, how can we say that 400 ppmv and rising is a big deal now, right?). But no, Lovejoy has a better idea: analyze a few seconds of time with his new, super-wham-o-dyne statistical method and you too can predict the Atlantic Basin hurricane season 100 years from now with 99.999% confidence! If I sound a little, well, skeptical, it’s because on a quick review of his paper, it appears to me he’s torturing the math to arrive at a self-serving conclusion. He even quotes AR5 and their description of what 95% confidence means—without ever acknowledging that there’s no math behind that scale, only politics. I’m not an expert by any means, but I have a very hard time believing that an analysis of such a short period, when contrasted with the entire existence of the earth, is not the very worst sort of cherry-picking. Sorry, I ain’t buyin’ it. I have a question someone can help with. Steven Goddard pulls news archives from 50-80 years ago. It’s quite interesting to read. Is it possible to pull more recent peer reviewed published climate science papers? Say from 1990 – 2010? I’m aware of Google Scholar. It’d be fun and informative to develop a “This day in climate science history” blog. They’re even more confident than they thought. Does this exact matching / masking work with view to the actual measurements, or does it work based on the first, second or third round of adjustments to the data? And how does this need to be read after a further round of adjustments? I am sure it says that somewhere in the paper, I am only wondering whether one would have ended up with the same conclusion, or even idea, based on the temp record from, say, two years ago before the recent adjustments were applied. Just asking because to get a flat line, you need a rather exact match for the cancelling effect. I don’t know about his methodology, but I like his conclusions. If cyclical natural variability slows temp growth in a way that no model does, it’s clear that temps by 2010 will be lower than models suggest…perhaps lower than ANY model suggests, since to my knowledge, none of them include this ameliorating cycle. Therefore, climate sensitivity probably below the IPCC’s lowest guess at 1.6 (if I remember right). No C in the AGW. Cheaper to adapt than mitigate. Let’s welcome Lovejoy to the world of Climate Skepticism. You assume that the climate sensitivity is a constant. This is an unwarranted assumption. I beg to differ. It tells us that they know a hell of a lot less about AGW than they think they do but they are well versed in the art of CYA. I’m lost – does this mean all the heat didn’t go into the deep deep oceans because there wasn’t any heating after all ? damn – and I thought the science was settled !! What a load of rubbish, if you actually knew anything about the null hypothesis and variance you’d know that that data is not able to show that the planet is cooling. This seems pretty clear to me. Lovejoy’s new study concludes that if the sophisticated climate models are excluded the historical climate records (data) show that the pause and previous warming have been natural cooling & warming fluctuations. That leaves the alarmists & AGW rather stranded with only their sophisticated conjecture from climate models and without any data to claim it cannot be natural. Isn’t that exactly what Watts,Tisdale, McIntire et al have been saying for years? Lol… for years most, if not all of the warming was meant to be caused by man…so now we have a pause, and natural variability accounts for it? Doesn’t that imply that at least 50% of warming was natural variability? Is this guy a skeptic? He has actually inadvertently stumbled upon a flaw in the models and in the alarmists idea that most 20th century warming was human related. Give them another 5 years and they might stumble on another idea that sensitivity to c02 is much less than they think. They need to look at the PDO and its interplay with the sun. Gee I wonder why recent Greenland warming isn’t also turned into a hockey stick! Thanks, mile think ice, Mike couldn’t blot you out or cherry pick you apart or hand wave you away even, though the later he tried but for that darn Internet and those rascally kids on it digging up old data. what a condescending paper… “Even if the ex-post facto reconciliations proposed by [Guemas et al., 2013], [Schmidt et al., 2014] or [Mann et al., 2014] are	correct, the damage has been done. Climate change deniers have been able to dismiss all the model results and attribute the warming to natural causes.” and “The two most cogent remaining skeptic arguments– that the models are wrong and the variability is natural – are thus either irrelevant or are disproved by the new approach”. Disgusting. How can this have passed objective peer-review? This is a very subjective and condescending manner of writing. I taste hatred through this words. A critical paper writing about “believers” and “alarmists” would never pass review… so how can this…?!!? Of course they used NASA GISS… the most adjusted and tampered with data set you can get. I recently just showed how Hansen et al keep cooling the past and warm the present… How about using HadCrut3 and 4 as well. Would be nice to know if they get the same results. Forgot to write that luckily lovejoy and others (finally) admit that “.. the models over-estimated the post-1998 El Nino global temperatures: they did not anticipate the “global slow-down” [Guemas et al., 2013], “hiatus” [Fyfe et al., 2013], or ”pause” [Slingo et al., 2013].” 1:0 for the skeptics and deniers!!!! I really don’t care about this guy’s take on the statistical range of natural variation. If he wants to claim that we are currently witnessing such an event and that it is strong enough to overcome CO2 forcing, then he needs to identify the physical elements of natural variation that he claims are responsible. If he cannot identify them, then there is no reason to believe that they are currently in play. To simply claim that they must be in play because a high level of CO2 forcing is a given and because statistical variation allows for it is not science. It is assumption driven pseudoscience. From 1998 – present, we have had a ‘natural variation’ cooling event. From 1992 – 1998, we had a ‘natural variation’ warming event, of somewhat greater magnitude. That means that ‘global warming’ occurred before 1992. IPCC says that anthropogenic ‘global warming’ cannot have been much of a factor prior to 1950, as the global CO2 hadn’t really budged yet. 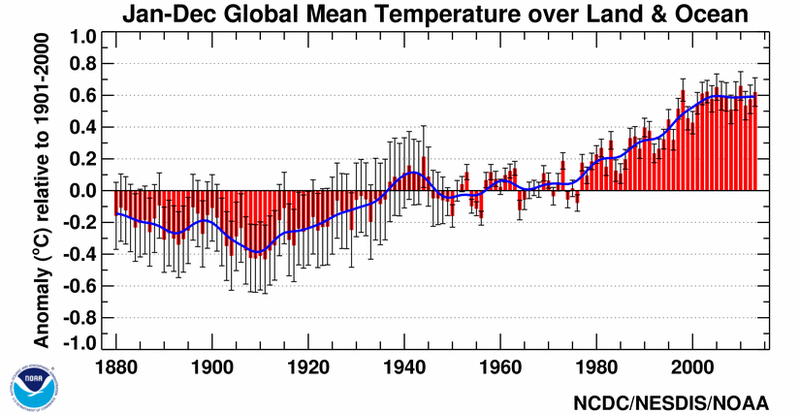 HadCRUT3 global surface temp trend 1950-1992 …. 0.08C per decade. That is 0.8C per century – 5 to 10 times less than the scary stories they tell. And of course, that 0.8C is tallied before one accounts for things like the climb out of the Little Ice Age, the bigger Ice Age, etc. Which of the 100 or so models in their Texas Sharpshooter battalion picked 0.8C/century? The corollary to this “finding” is that a similar proportion of the warming from 1975 to 1990 was also attributable to natural fluctuation. Now IIRC the global temps rose about 0.5K in the last half of the 20th c.
That leaves 0.13 to 0.22 degree C in 50 years as amount attributable to AGW and other anthropogenic causes. Now to play the warmist game : “if that trend continues” we can expect global temperatures to be “as much as ” 0.4 degree celcius warmer by the end of this century. What these clowns don’t seem to have realised yet is that you can’t have your cake and eat it. The harder they twist the figures to ‘explain’ the pause, the more they prove that the remarkable warming that had everyone panicking in 2001 was ALSO to a large degree natural. You can call this a message to the Greens with both love and joy. If natural variability is just noise around good models (which I think is the essence of the author’s argument), then doesn’t that just mean the modelers have grossly underestimated the error bars? But if they increase the error bars too much, they include no temperature increase and falling temperatures. That kind of interferes with the narrative. On the other hand, if they think they can predict the natural variability, they should, as you suggest, do that and make predictions with error bars by combining their climate models with their natural variability models. Then we can wait and see if they come true. It’s all gone terribly wrong for them, hasn’t it? Someone looked at some random stars in the sky and decided they looked like a Big Dipper, but someone else decided they looked like a Great Bear. That’s how it works, in the worlds of star-gazers and Climate Scientists. I’ve been waiting for the wheels to fall off this bus for about ten years. Is it finally happening? You know the worst thing about it, when it finally happens, we still won’t get any satisfaction. When communism collapsed, all the hard left just melted away. They never really admitted they were wrong. (Actually, they just morphed into greens. ) How about the peak oil fanatics? The real estate never falls types? All the alarmists will just disappear…or move onto the next scare. Hang on a minute, I was under the impression that the post war cooling that Lovejoy attributes to natural variation, was firmly attributed to fine particulate and SO2 aerosol cooling. So which one do they want. They cant have it both ways. Thank you for the link to woodfortrees, but could I get a clarification of the significance of 1997? I was under the impression that an interval of less than twenty years was not typically considered to be of statistical significance when calculating temperature trend, but when I insert pretty much any year prior to ’97, a warming trend seems apparent. This applies to (I believe) every temperature record available via the site, calculated over any timeframe greater than 20 years. I’m clearly confused, could you assist? Is this due to fudged/corrupted datasets, or am I using the site incorrectly? Thanks in advance. I think we should make more of the 50/50 ‘consensus’ amongst the warmists. It seems that half of them are adamant there is no pause and the other half have accepted there is a pause and are imaginatively explaining it away. Desperation is increasingly gripping the CAGW crowd. The Warmistas are running round in ever decreasing epicycles in search of answers to Nature’s stern commands. If temperatures go down, then it’s natural variation, if they go up, then it’s climate change for the Warmistas. The Warmistas are desperately adjusting the past colder and the present warmer, They ask “Is the warming hiding in the deep oceans?” ….more likely it is escaping to outer space as usual. “More troubling, the models over-estimated the post-1998 El Nino global temperatures: they did not anticipate the “global slow-down”, “hiatus”, or ”pause”. Even if the ex-post facto reconciliations proposed by [..] are correct, the damage has been done. Climate change deniers have been able to dismiss all the model results and attribute the warming to natural causes.“. That’s not science, that emotional advocacy. Emotive / pejorative terms such as “troubling”, “damage” and “deniers” have no place in a scientific paper (and that was just the introduction). How on earth could this have got past the editor, let alone peer-review? There’s more specific absolute nonsense just a few sentences later: “The two most cogent remaining skeptic arguments – that the models are wrong and the variability is natural – are thus either irrelevant or are disproved by the new approach. [..] The basic hypothesis is that the global temperature anomaly [..] is the sum of an anthropogenic component – assumed proportional to the observed CO2 forcing – and a residual representing the natural variability.“. There’s that pejorative language again (“sceptic”), but leaving that aside their logic is absolute nonsense. They claim to have disproved (their word) that natural variability played a major role and that therefore the observed temperature change was anthropogenic. But, as they point out, they have assumed it was anthropogenic in the first place, that the anthropogenic effect is linear, and that the natural variability can be determined as the residual after their assumptions have been applied. It is absolutely mind-boggling that such appalling circular logic can even reach the peer-review process, let alone pass it. Partial extent of the short term (multi-decadal) natural variability (cooling/warming) for the N. Hemisphere can be calculated from the oscillations in the geomagnetic field (combination of the solar and earth’s internal ‘oscillations’). thus, total warming as derived from geomagnetic field since 1910 is of order of +0.4C. Since there are other natural factors such as the ENSO, volcanic eruptions, etc (which appear not to be linked to geomagnetic variability, e.g. current pause started around 1995), the numbers quoted above only one part of the overall natural variability factor. Confused and genuine question – every year on Jan 1st for the last 10 years, the BBC have stated that the previous year was the warmest on record and something similar to saying the last 10 years have been the warmest on record. How on Earth can thus statement fit in with the Earth has been cooling for the last 17 years ? Natural variability can explain cooling but not warming??? And this paper tells us what that we didn’t know (or think) already? It claims natural variation did it. Breaking news – so do ‘99.9%’ of sceptics! That’s the whole damn point – that human influences on long term global climate temperatures are so tiny as to be effectively lost in the noise of….natural variation. Imagine if this paper had instead been authored by a sceptic and arrived at roughly the same conclusions, but was coming from the other end of the spectrum. ‘It IS natural variation after all’. Would it have even seen the light of day? And where does this fit with yesterdays offering from Lew’ – or the other dozen or more ‘explanations’ already offered? CAGW theory is all over the place. More recent research suggests that particulates don’t have as powerful a cooling effect as originally assumed by models. This means that natural variability must be greater than first assumed, however that opens up a new can of worms. How many “reasons” have now been proposed for the lack of warming? We’ve had “It’s in the deep oceans” (Kalamity Kevin! ), “It’s hiding in the North Pole”, “It’s masked by aerosols”. Probably a few more that I’ve missed. So, which one is it folks? I found the global warming! It was under the cushions on my sofa. I also found $1.47 in loose change. The selection of this Lovejoy post must have had in mind the James Risby paper in Nature that came out today that Mr. Watts had a post on over the weekend. The Risby paper makes the case that climate models proved themselves useful in understanding the 15 year “pause” in the long term trend of temperature rise. The Lovejoy paper seems to attempt to put a statistical framework on “natural” variation while the Risby paper takes it a step forward in saying climate models were “skillful” in picking up that “natural” trend. The authors of the Risby paper looked at the models that were best in sync with the ENSO cycles and then looked at how well their temperature predictions had performed. Apparently they performed rather well. They also did looked at the models that were ‘worst’ (most out of sync) with the ENSO cycle and their temperature predictions did quite poorly. This tells us that the models do quite well when they accurately reflect ENSO cycles, and poorly when they don’t. Confused and genuine question – every year on Jan 1st for the last 10 years, the BBC have stated that the previous year was the warmest on record and something similar to saying the last 10 years have been the warmest on record. How on Earth can thus statement fit in with the Earth has been cooling for the last 17 years? Yes. It couldn’t be that they are just making things up, could it? Satellite data — the most accurate data available — shows that the planet has been cooling slightly. Satellite data and the BBC cannot both be right. So someone’s lyin’. <——- Lookin' at you, BBC. The year 1997 was selected by über-Warmist Phil Jones, who had been asked in a 1999 interview about the apparent halt to global warming. Jones thought he was on safe ground by declaring that global warming would have had to stop for fifteen years in order to be statistically significant. In 1999 it had been only 2 years, so Jones was playing it safe. But now global warming has been stopped for more than 17 years, causing the alarmist crowd immense consternation. They were wrong. In their wildest dreams they never expected that global warming would still not have resumed. But it hasn’t. And Jones, for his part, is hiding out. The base year of 1997 was designated by the Warmist crowd, not by skeptics. Live by the sword, die by the sword. Instead of speaking about “above average temperatures”, wouldn’t it be more interesting to speak about “above (or under) average temperatures since the 1998’s start of the pause” ? Then we would easily understand if the temperatures are resuming climbing (or falling). Applying Occam the warming before the pause, all things being equal, would have been a natural variation as well and any surplus CO2 signal has been voided by natural feedback mechanisms. But hasn’t NOAA just said June was the hottest month ever? Is this true? If so, what should we do? Just how ‘lucky’ can you get natural variation just happens to be in near perfect balance to the warming the AGW should has caused. Why do this people work at all , with that types of ‘luck’ they should be winning the lottery ever week. The basic physics of CO2 as a radiative gas (and ignoring how it may behave outside the laboratory in the real life atmoshere of planet Earth) is that whenever there is an icrease in CO2, unitl fully staurated, temperatures MUST ALWAYS go up Not may go up. Not sometimes go up. Not sometime stay steady or sometimes decline. Not some times go into the atmosphere and at other times bypass the atmosphere and go in to the ocean (still less by pass the top of the ocean and go without trace into the deep ocean). The upward trend in temperature is an inevitable consequence that must always take place. So if temperatures have not gone up when there has been an increase in CO2, either CO2 has become fully saturated at today’s levels, or there must be some other downward acting forcing in play, either natural (including volcanoes), or manmade. Accordingly, the conclusion of this paper adds nothing to the debate. It is what all Climate Scientists, who consider the AGW meme as being correct, must inevitably hold 9whether they admit it or not is a different issue). The real point of interest is that this conclusion acknowledges that CO2 has not overcome natural variation, and acknowledges that natural variation can (presently at any rate) still equal and oppose the forcing of CO2, ie., that CO2 is not paramount and/or dominat. As Ian W says:(July 21, 2014 at 4:58 pm) “…It is also amazing that during the ‘pause’ the natural variations have been precisely enough to keep the change in global average temperatures statistically zero.” The chances of that are presumably rather small (but since we do not know what natural variation consists of nor the upper and lower bounds of any forcings encompassed therein, we cannot begin to assess the likelihood). And as we go forward should the pause continue (let alone should there be a fall in temperatures), the likelihood of that becomes ever more small and unlikely. Of course as others have posted, the take home conclusion really confirms that until one can identify precisely what natural variation comprises, identify each and every consitituent forcing, the upper and lower bounds of each and every forcing, and what drives those forcings to change, one cannot begin to dispklace the null hypothesis, ie., such changes that we have observed in the temperature rwecord is due to natural variation. In short: having ruled in natural variation, natural variation cannot be ruled out. richard verney, you describe CO2 effect as though it were a linear effect, like the sun. As you know, the atmosphere is very nuanced with lots of positive and negative feedbacks. If the CO2 effect were linear, you would not be able to explain why the warming trend is most notable for winter nights when the insulating effect of the atmosphere is least affected by the sun. What is the real value of total RF (+ positive, minus negative feedback) for ant. GHGFs? … contra the size – the net value of the natural variations? It is possible that this value is so large so that was really important (compared to the size the natural variations – repeat once again) – require our prevention? We should remember what is most important: theory of global warming is not (primarily) the direct impact of RF GHGs (especially CO2) on global temperature but are decisive here (the main component of the total RF) feedback: positive. For example, what do we really know about solar cycles, other natural, for exclude them as significant? Let me give you another example: aerosols as the main reason for pause (by Hansen). In models with a dominant role – influence, GHG’s to changes in temperature, the impact of aerosols is underestimated. Therefore, it is obvious, undisputed that the impact of GHGs in these models is likely to be significantly overestimated. “… 1.5 watts per square meter …” however, is “burdened” with a big mistake, because: “… the aerosol effect is complicated because aerosols are distributed inhomogeneously …” Hansen said.”( http://earthobservatory.nasa.gov/Features/GISSTemperature/giss_temperature4.php). semczyszakarkadiusz, you mentioned every potential “natural” cause for the “pause” except ENSO. 98 was an especially warm El Nino phase and we have been in a mostly La Nina phase since. As a good sceptic I don’t care very much about what statisticians say. I believe in the art of adaptation, which has been and still is the driving force of mankind. Meanwhile, the Aussies have realized that squandering money by the megaton on dubious CO2-schemes of all kind won’t change anything. They have the potential in becoming the pioneer in common climate sense. What you have to understand is that the powers-that-be at the BBC have little or no knowledge about climate science – witness their response to the Lawson saga – but they do know what will get them approving nods from those jolly nice chaps who keep them supplied with headline friendly press releases. Has for those claiming they cannot have it both ways , you forget the second rule of climate ‘science’ heads I win tails you lose . Not only is it ‘science’ which was born perfect but its that ,ironically , very anti-science idea something which is impossible to be wrong . Reach for a pinch of salt, would be my advice. It’s unlikely that the others will agree with NOAA: and given that NOAA keeps adjusting its own figures, it’s unlikely that NOAA will even agree with itself in due course. The BBC are frequently economical with the trutjh. Since their primary target is the British viewer, it maight have been relevant for them to comment on CET. Since 2000, temperatures, according to CET, have fallen by about 0.5 degC..
Perhaps more significant, winter CET temperatures (this is December to February inclussive) have, since 2000, fallen by almost 1.5degC. The UK has suffered a spate of cold winters these past 10 or so years. If such a trend continues (and I am not saying it will), the UK citizen will require more energy, which is fast becoming punitively expensive and unaffordable for many. The spate of harsh winters and high energy costs have led to between 20,000 to 40,000 premature deaths each year, again a matter that the BBC does not like to report on. But the BBC has long given up on reporting news, instead it churns out the opinion according to the BBC. Should you ever watch its news bulletins, you will note that most news items involve the newsreader interviewing the news reporter, (the BBC correspondent), for their opinion! Indeed, but the thesis of the paper is that the expected forcing “as predicted by the models” is being moderated by natural variation. Now either the models got it wrong w.r.t. the post war cooling becuase of over-correction including vulcanism (in which case they are overpredicting), or they have it wrong w.r.t. the extent of the natural variation. As I said above, they cant have it both ways. According to NOAA’s most recent announcement, the “hiatus” is over and the first half of 2014 was the highest average global land and sea temperature ever recorded. It would seem the GISS record has again been tortured into revealing the answer some wish to see. “The hypothesis that the industrial epoch warming was a giant natural fluctuation was rejected with 99.9% confidence”. Of course. Trouble is they can’t deny it was, because they are not deniers, are they? Otherwise they were fifty times more confident on this point than the latest IPCC report, which fact needs much elaboration beyond claiming to be expert rejecters. This Lovejoy fellow is apparently smarter then all the wrong computer models. His physics is apparently better. Perhaps he should be creating his own computer program. Does his paper explain what factors the computers models missed? I’m hoping McIntyre, Briggs, or one of the other resident statisticians take a look at this. So you only believe in the null hypothesis when it suits you, I’ll remember that when you inevitably trot it out in your future posts. As stated before according to the null hypothesis the “Satellite data — the most accurate data available”—does not show that the planet has been cooling slightly. Once again we are assured that natural variation is strong enough that the negative swings can cancel out global warming. On the other hand, the positive natural variation swings have absolutely no impact on global warming, it’s all CO2. If there is a linear increase in GISS from adjustments as suggested by Goddard and Lovejoy’s natural variability theory is valid, then would this prove no CO2 warming? Lovejoy has committed a no-no here. If the pause or cooling is a natural variation, perhaps too was the warming. I’m sure The Team will be knocking on his door. So, instead of the heat “hiding”, they are now claiming it is being masked by a natural variation. It’s there, but we can’t see it. Sort of like people who claim to see ghosts. All this talk about NATURAL VARIATION masking the warming effects of green house gases is just another way of saying Natural Variation dwarfs the effects of green house gases or. greenhouse gases are a minor player compared to natural variation in shaping the climate of this planet.. ” It is worse than we thought”, we got it totally wrong from day one . If these people are that confident that they now know what the “natural variability” factors are; they should incorporate them into the models and then publish their findings. Unfortunately some of those factors are random or chaotic in nature so they are hard to incorporate in a model. The null hypothesis is the statistical hypothesis that states that there are no differences between observed and expected data. And since there are no differences between what is currently being observed and what happened in the past, the null hypothesis is not falsified. Global warming is natural. Lovejoy is closer to my thinking if he also means that the warming period got a 1/3 C assist with this natural variation wave. Found to be not 5% per century, but 5% per DECADE. That’s just one of many. How many different excuses for the pause have they come up with, each one claimed to be the sole factor behind the pause? That alone tells me they haven’t a clue. In logical form, the Independent’s argument is an equivocation in which the meaning of “global temperature” changes in the midst of this argument. By logical rule, one cannot draw a proper conclusion from an equivocation. Nonetheless, the Independent draws the conclusion that the ‘pause’ is a myth. And here I thought that the Warmologogical gospel was that “manmade warming” didn’t actually begin until about 1980. Now it’s the entire “industrial epoch”? They are claiming manmade warming has been going on for 250 years? Seriously? And with 99.9% confidence? Holy cow! They have truly lost the plot. And yet, periodic and relatively lengthy (relative to the 50 year upswing in temps) was completely ignored in the model predictions of calamitous temperature increases. So, once you factor this periodic natural cooling swing in, the projected increase is only 1/3 to 1/2 of what the models predict over say a 100 year span? Should be a standard rule of academia – show your hypothesis; make a falsifyable prediction; bet half your pension against it…otherwise, f@ck off. As usual you have mis-stated the null hypothesis. When looking at a set of data such as you presented your hypothesis was that it showed global cooling, the null hypothesis is that there has been no change over that timespan. Statistical analysis of that data shows that the null hypothesis has not been falsified and that there has been no significant cooling. I don’t bet so there is no wager. I’m a simple layman trying to follow the ‘debate’ regarding the ‘pause’ (and a pause means to me that something that was happening has stopped but will start again). I am having trouble with this notion of natural variability. We are debating the planet’s climate. But surely it cannot change in some random way for no reason – but only through the interaction of the various drivers. If the actual observed data is at variance with the models’ predictions, then does that mean that they do not take account of those drivers and their interactions? It might seem that ‘natural variability’ includes all those other factors that are not addressed by the models. Is this because the modellers don’t know either what they are; how they interact; or how to include them? “Natural variability” is a component of a bad argument that is made by the IPCC in its assessment reports. IPCC climatologists borrow an idea from telecommunications engineering in which the intensity of the received signal is the sum of the intensity of the transmitted signal and the intensity of the noise. Supposedly, the natural variability is akin to the noise. There is an additional component of the global temperature that is caused by emissions of CO2 from burning fossil fuels. This component is called the “anthopogenic signal.” IPCC climatologists claim to detect the anthopogenic signal with a high level of statistical confidence, thus pinning the blame for global warming on the burning of fossil fuels. The solution that evironmentalists propose for this state of affairs is to control the climate through curbs on CO2 emissions. However, there is an assymmetry between telecommunications engineering and control systems engineering that is not taken into account by the IPCC’s argument. In telecommunications, the signal and noise travel from the present toward the future at a speed that cannot exceed the speed of light. In control, the “signal” and “noise” would have to travel from the future to the present at a speed exceeding the speed of light but this is impossible under the theory of relativity. In relation to the problem of controlling the climate, there can be no signal or noise. That these entities exist is, however, built into the structure of modern global warming climatology. In order for progress to be made in global warming climatology, wrenching changes must be made in the structure of it. What precisely are the components of a “natural cooling fluctuation”? And how were they able to overwhelm, the global destruction, by the enemies of nature? Tune in next week (month) for another adventure in, “We know best, so pay up, and shut up”!! The simplest explanation, is that increasing levels of CO2, are not able to increase levels of water vapor, except in very dry arctic conditions. We have a low climate sensitivity, to additional CO2. So we have a tiny increase in temps, that are masked by natural variations, that are an order of magnitude larger. The increasing trend has stopped, and may resume, or may reverse. Time will tell. But one thing is for certain. There will be many more attempts, to revive a corpse, that is more skeleton, than flesh. So going by Hadcrut3, that statement should not have been made since 1998. The problem with much of these theories is that the Alarmists in government and academia were still in full-blown AGW mode as late as 2007. That means everything that wrote and said between 1996-98 and 2009 (when they first grudgingly admitted to the “pause”) was either known fabrication or simple scientific incompetence. I can still remember (and I’m sure still find via the Wayback Machine) highly respected and credentialed scientists saying in 2006 how the current warming was absolutely unprecedented for the Holocene Era. NOAA was publishing warnings about the run-away heat waves, historically warm winters (The 3rd Warmest January Ever!!! !, etc..), and the tropical storms that would be making landfall in record numbers, etc…. But, now we are supposed to forget about all those Cassandra-like warnings, and still listen to the Alarmists. I think not. The null hypothesis is that both warming and cooling are natural. That is all. It doesn’t say anything about what our climate is currently doing. We do though appear to be cooling, and cooling is likely in the coming decades. So natural variation is not strong enough to cause global warming but it is strong enough to negate global warming. Sounds a little fishy to me. It seems that all the paper has done is show that there has been a long term warming trend in addition to the 20 to 30 years cyclical variations. But part of the long term trend can also be caused by natural forces that are different from the shorter term ones, and not necessarily caused by CO2. His equation (1) seems to indicate he is considering only one type of natural variation. See, take away the cooling and what’s left? Warming! The way I see it is that declines in solar forcing from 1995 promoted a warm AMO phase, an amplified negative feedback, raising global mean surface temperatures around 0.2°C by poleward heat redistribution alone. Then with the weaker levels of solar activity since then, solar forcing has just been able to maintain a steady global mean T, hence the recent lack of a warming trend. The subject paper, Mr. Watts set up and following comments are confusing. It is hard to know what the paper is really about until you get to Mr. Lovejoy’s conclusion. 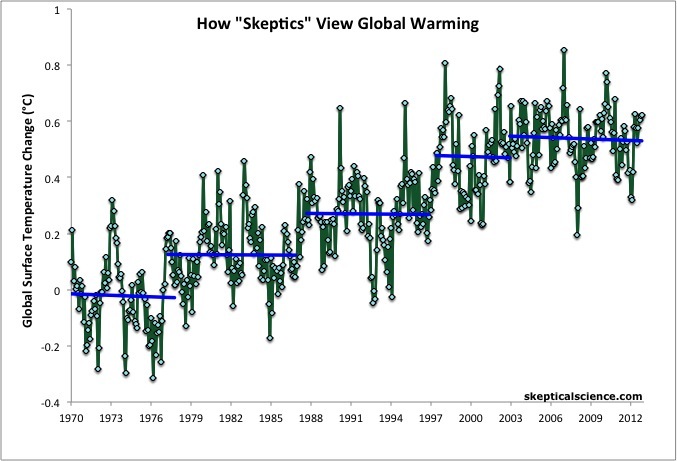 Mr. Lovejoy seems to be saying that AGW is real, but to help convince the “skeptics” of that, it may be necessary to make the case with less dependence on climate models because “skeptics” are skeptical of the models. He is not saying there is a problem with climate models but that since “skeptics” like them, there is plenty of other evidence that can be used to make the case. I did some research into correlation between the Earth’s magnetic field change and climate indices. It appears that the climate change boundary conditions for the N. Hemisphere are set annually, i.e. it is not the absolute intensity, but it is the annual differential that governs natural variability. Who says we must reject natural variablity ? Reality of the dominant nature of natural variability over green house gases is faintly being perceived by the alarmists , not accepted but realized never the less. The warming phase of the 60 year climate cycle happened 1910-1945 and again 1970-2000 . The century scale natural variability of a cooling climate is just getting underway. Random is an oft abused term in my opinion. 1. There is truly random, as in quantum uncertainty. We don’t know something because it doesn’t actually have a fixed value until a measurement / observation is made. I don’t think this is applicable here. 2. There is chaotic random, as in the weather. We actually have a decent idea what’s going on, but the nature of the math is such that iteration to iteration, very small differences in initial conditions cause very large changes in the overall system. For all practical purposes, we can’t predict weather very far out even though we understand the mathematical relationships pretty well. 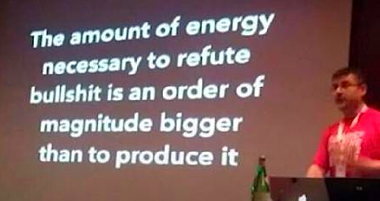 This may or may not apply to climate AFAIK, I’ve heard arguments both ways. 3. Finally there is random as in complicated. We sometimes treat very complex things that may be deterministic as if they were random because it’s too darn difficult to account for every factor. This probably applies to some extent to the climate. Not all models ‘model’ everything about the climate. Neither does the satellite data. NOAA seems to have the worst record wrt correctly adjusting the data. “A new study has found that global temperatures have not flat-lined over the past 15 years, as weather station records have been suggesting, but have in fact continued to rise as fast as previous decades, during which we have seen an unprecedented acceleration in global warming. Two university scientists have found that the “pause” or “hiatus” in global temperatures can be largely explained by a failure of climate researchers to record the dramatic rise in Arctic temperatures over the past decade or more. What satellite readings are being referred to? How is the estimate of temperature made? If natural variation rules in a period of rising CO2, it always rules. Just an FYI. The above Felix is not the Felix writing now. So, I guess I’ll re-register as Not The Other Felix, (NTOF) so as not to confuse folks. Only post rarely, but I wouldn’t want to be . . . um . . . confused with another poster. I couldn’t agree more Ulric. I’m curious as to what you mean by this. “Grasping at straws”, by Shaun Lovejoy. It doesn’t matter what caused the lack of warming for the last 17+ years. They didn’t see it coming. The whole Climate change, with only negative consequences, assertion, is based on warming. The only driving factor was anthro. Co2. Anything else was insignificant. This was the official line of the alarmist dictatorship only a few short years ago. Maybe now they should admit their errors and acknowledge that there are Natural drivers after all, with far greater influence on our climate than Co2. Oh, hang on. I think Lovejoy’s paper has done just that. Well, it’s a start. Yes but if, for example, the post war cooling is attributed to natural variability, then it ignores the short term effects of the aerosols and vulcanism that is not related to CO2 and cant be lumped into a single proxy. What it does is to over-estimate the natural variability impact which then in turn over-estimates the underlying CO2 forcing that it is masking. Im not saying that the entire concept is wrong, just that it doesnt seem to accurately capture the real variables at work. Good lord.! It is so painful to watch these people twist in the wind, going through so many tedious mental gyrations in order to maintain this failed AGW belief system. Wouldn’t it be much simpler to just reject the theory rather than inventing so many new ones to keep it afloat? SCHROEDINGER’S ICE. It is both there and not there, with a probability of 0.5 maybe. But looking at the ice to verify whether it is / is not there collapses the quantum wave function. Turney and his Ship of Fools looked, and look what happened to them. I’m sorry if I missed anybody else saying this, but if this study is correct we should be rejoicing and trying to reverse any reduction in CO2 emissions. You see, if CO2 is responsible for warming the earth, and natural variation is responsible for the present ‘pause’, then if the CO2 levels were not still rising, the average temperatures would be falling, and falling rapidly. If this study is correct then Arrhenius was right and we can, and are, preventing an Ice Age. Mike Tremblay, if you take in all the news on this for the week, what you get is that ENSO is the primary natural variability that creates the current temperature “pause” just as it created the exceptional high in 98. The elephant in the room, the ocean sloshing about, is becoming more evident as the heat sink that turns the knob on the atmosphere temperatures. If the ocean is getting warmer, well, that could be a problem. Using preindustrial multiproxy series and scaling arguments, the probabilities of natural fluctuations at time lags up to 125 years were determined. The hypothesis that the industrial epoch warming was a giant natural fluctuation was rejected with 99.9% confidence. This is Mann’s Yamal hockey stick, Mike’s nature trick and Marcott’s fabricated uptick all rolled into one. At the core of this, Lovejoy is comparing recent instrumental temperatre data with averaged proxy data. He knows very well (as did Marcott) that proxy data – especially averaged from multiple sources, will be squashed flat and have reduced variation. Different proxies give differing results so averaging them will iron flat historic temperature variation, making recent instrumentally measured variation (coincidentally an upturn in the last half-century) seem anomalous. This is a central trick of the AGW conjurers. It is pure fraud, however it is dressed up. This is Mike hiding the decline. You can compare instrumental with instrumental, or proxy with proxy, but NOT proxy with instrumental. If you are honest that is. Climate is recovering, in a fully predictable way, from the little ice age. Climate science meanwhile continues to go steeply downhill. People all around the world, responding to a new global survey by Ipsos MORI, have generally agreed with the ideas that scientists don’t really know what they’re talking about when it comes to the climate and that governments are using environmental issues as an excuse to raise taxes. I commend Mr. Watts for sharing yet another line of evidence that further reinforces the understanding that there exists a continual forcing that is causing a net upward long term trend in the heat content of the climate system that is either augmented or dampened by shorter term, natural, stochastic, and lower magnitude, heat redistribution events such as ENSO. 1) This is consistent with the Risbey paper which showed that any model run discrepancy between calc’d and obs’d mean global SATs are minimized when the emergent stochastic ENSOs in the model are in phase with the observed ENSOs. 2) This data is consistent with no pause in ice mass declines observed in the Arctic and Antarctic. 4) In the last 18 years, the temperature record shows excellent correspondence with short term well documented short-term cooling and heating events (natural variations). The link below illustrates the quality of the correspondence in the last ~30 years of volcanic activity (El Cinchon, Pinatubo) El Nino, La Nina and the very small solar effects. If you remove the temperature skew by known natural variations, the upward trend is the same as the last ~30 years. No pause in the greenhouse gas forcing. 6) Similarly, sea level trend pauses are explained by precipitation variations (increased during El Niño, diminished during La Nina) and was supported by direct evidence. This weight of evidence explains the ‘pause’ very nicely in the absence of an alternative plausible explanation for that which stops for 17 years after rising for >75 years. Now it’s time for all of us to get on the same page and determine how to adapt to and mitigate an ever increasing economic disruption due to climate change. Let’s work together. Now it’s time for all of us to get on the same page and determine how to adapt to and mitigate an ever increasing economic disruption due to climate change. The null hypothesis has never been falsified. It is a direct corollary of the scientific method, and it shows that there is nothing happening that is either unusual or unprecedented. Therefore, nothing needs to be done. Global warming stopped many years ago, but the alarmist crowd, exemplified by hanzo, routinely disregards that fact. Because if they admitted it, their entire argument would be debunked, and any rationale for continued spending on ‘climate studies’ would be highly questionable. OK, if you have computer models of a _phenomenally_ complex system that don’t manage to produce projections that match measured reality and 14 excuses are then forwarded to explain why they don’t, each one claiming to completely explain away the problem, then it’s rather obvious to anyone that those attempting to model that complex system really don’t have a adequate handle on the factors involved in it. Isn’t it? What strips your story of credibility is that it is always changing. Like climate does. Some of us remember when the recent warming up-oscillation was still going strong. The idea of natural climate variation was openly derided by on-a-roll warmists. The very word “natural” was a dirty word. Any empirical observation of climate history was dismissed as worthless in the face of unquestionable authority of climate models. Times change. Now the warmists are crawling all over natural variation. With every twist and turn in the real world a new story quickly appears to explain it. And the party line changes as quickly and frequently as the weather itself. What would have given this any credibility is if any of this had been predicted by your models. The pause. Antarctic and now Arctic sea ice recovery. Decline in sea level rise. Increased snow cover. But no – it’s all post hoc, after the event. I’m afraid it doesn’t wash. Which as I’ve pointed out before is not the ‘null hypothesis’ and you conveniently forget about it when you want to claim that there is global cooling. What you claim to be the ‘null hypothesis’ bears no resemblance to the scientific method. I’ve given you the dictionary definition of the null hypothesis several times. It’s not my fault that you can’t understand it. Also, the null hypothesis is not the scientific method. Show me where I said it was. It is a corollary. The null hypothesis applies to any research question, no matter what the debate is or who is on which side. For example, if your speculation is that dust is not natural, the null hypothesis would be that it is. The null hypothesis simply forces you to seek significant robust results against the premise that your speculation is not significant. In summary, when engaged in formal climate research, for any who propose that temperature trends are human caused, they must be willing to admit that the null hypothesis is that temperature trends are natural. The flip side would be that for those who propose that temperature trends are natural, they must be willing to admit that the null hypothesis is that temperature trends are human-caused. that show the changes in total H2O in the atmospheric column. Now which came first, chicken or egg is another matter, but the graphs seem to indicate more warming to come if the lag to the ocean heating follows normal behaviour. Dr Spencer says that there is no verified ‘fingerprint’ of greenhouse gases, therefore AGW remains a conjecture. If there is more warming, which is entirely possible, it is natural. The planet is still emerging from the LIA, but there is no evidence that CO2 has anything to do with it. Re: the ‘chicken and egg’, T is the chicken, and CO2 is the egg. There is plenty of evidence that ∆T causes ∆CO2. But there is no evidence that changes in CO2 cause subsequent changes in temperature. Thus, AGW remains a conjecture [and CAGW is not even worth discussing; it is nonsense]. In hypothesis testing, it is good practice to formulate the hypothesis precisely and to design hypothesis tests that reduce the probability of type I and II errors. A type I error occurs when the null hypothesis is true, but is rejected. A type II error occurs when the null hypothesis is false, but erroneously fails to be rejected. A formulation of the AGW null hypothesis states that there is at most a minor relationship between atmospheric CO2 concentration and global mean surface air temperature (global mean SAT) relative to natural variation. INITIAL FORMULATION: A null hypothesis TEST was proposed that measures the mean SAT over a selected 17 year period during which a coincident 25% increase in atmospheric CO2 occurred. RESULT: A SAT plateau was observed during the test period, which implied there was no correlation between CO2 and temperatures; so the null hypothesis was not rejected. In devising the hypothesis test, the prudent scientist must consider how likely it would be for a set of observations to occur if the null hypothesis were true but erroneously rejected (type I error). Likewise, one must consider how likely it would be for a set of observations to occur if the null hypothesis were false, but erroneously not rejected (type II error). This analysis is important as it informs selection of sample size and design of of controls. ERROR. The 17-year hypothesis test was flawed since there existed evidence that suggests a high probability of a type II error as demonstrated by the following paradoxical observations. During the time between 1965-2013, there were eight 15-year periods where mean global SAT had plateaued according to a review of HADcrut3v data. Thus, the null hypothesis could be ACCEPTED multiple times depending on the ~15 year trends selected. However, the global mean SAT trend is positive and statistically significant over >30 year trends. Paradoxically, the null hypothesis could also be REJECTED based on any observed > 30 yr trends or any observed 30 year period during which a coincident increase in atmospheric CO2 occurs. RESULT: A statistically significant positive SAT trend was detected, showing an increase of 0.6 deg C/ century, which is 10x faster than any pre-industrial global mean proxy temp increase as far back as 800,000 years. This data is consistent with the correlation between CO2 and global mean temperatures; so the null hypothesis is rejected. BETTER FORMULATION: A null hypothesis TEST is proposed that measures the mean SAT over a selected 99%). Hanzo challenges anyone at WUWT to refute any or all aspects of the above analysis without conspiracy theory or ad hominem speculation. In hypothesis testing, it is good practice to formulate the hypothesis precisely and to design hypothesis tests that reduce the probability of type I and II errors. A type I error occurs when the null hypothesis is true, but is rejected. A type II error occurs when the null hypothesis is false, but erroneously fails to be rejected. THE FLAWED 17-YEAR TEST: A null hypothesis TEST was proposed that measures the mean SAT over a selected 17 year period during which a coincident 25% increase in atmospheric CO2 occurred. RESULT: A SAT plateau was observed during the test period, which implied there was no correlation between CO2 and temperatures; so the null hypothesis was not rejected. The 17-year hypothesis test was flawed since there existed evidence that suggests a high probability of a type II error as demonstrated by the following paradoxical observations. PARADOX. During 1965-2013, there were eight 15-year periods where mean global SAT had plateaued according to a review of HADcrut3v data. Thus, the null hypothesis could be apparently ACCEPTED multiple times depending on the particular ~15 year trends selected. Or paradoxically, it could be REJECTED based on any observed greater than 30 yr trends or based on any observed lesser than 30 year trend where known sources of natural variation were removed (volcanic aerosols, ENSO, AMO, PDO). The null hypothesis cannot be both accepted AND rejected. Thus, trend duration AND known sources to natural variation (noise subtraction) MUST be considered in test as it is a scientific expectation to reduce the probability of either type I or II errors. BETTER FORMULATION: A hypothesis TEST is proposed that measures the mean SAT over a selected greater than 30 year period during which a coincident increase in atmospheric CO2 occurs, or measured over a selected less than 30 year period where known short term natural variations that augment or dampen the mean global SAT are removed. RESULT: A statistically significant positive SAT trend was detected, showing an increase of + 0.6 deg C/ century for greater than 30 year datasets (10x faster than any pre-industrial global mean proxy temp increase as far back as 800,000 years). For a less than 30 year dataset, a positive SAT trend was also detected and showed an increase of +0.16 deg C per decade. This data is consistent with the correlation between CO2 and global mean temperatures; so the null hypothesis is rejected. I challenge ‘hanzo’ to admit that global warming stopped many years ago. Who to believe? Dr Spencer? Or the anonymous ‘hanzo’, who obvioulsy feeds at the taxpayer trough. And hanzo might start to get some credibility if he stops linking to that incredible blog, SS. So there is my challenge: admit that global warming has stopped. Claiming that global warming is continuing as usual brands ‘hanzo’ as a lunatic. That is no “challenge” because it is so very, very easy to do. Your “analysis” is complete nonsense because it is based on your total lack of any understanding of the scientific method; e.g. your “analysis” confuses hypothesis testing and the Null Hypothesis. See how easy that was? All aspects of your so-called “analysis” were accurately and factually refuted by a single, true sentence which contained no conspiracy theory, no ad homs., and no speculation. Please elaborate. Clear evidence in the 130 year SAT dataset compels a test design that reduces probability of Type II error. Need greater than 30 yr global SAT data to allow known non-trending natural fluctuations to cancel out or apparent accelerated or dampened temperature trend may give misleading results. Alternatively, known short-term natural variations must be subtracted from observed trend to reveal magnitude of unnatural or unknown component. Please refute any or all aspects of the above analysis without conspiracy theory or ad hominem speculation. Until hanzo admits that global warming is currently halted, he has no credibility. The current evidence doesn’t support such a claim any more than it did at earlier plateau periods. We still have a measurable radiative imbalance at the top if the atmosphere and the 1st law of thermodynamics predicts planetary heat build up. With global ice mass and arctic sea albedo diminishing, ocean heat content and sea level rising without pause, it’s just too premature to assume that what started 133 years ago has suddenly stopped 17 years ago with no reason put forward. Feel free to suggest an alternative scientific explanation why anyone should not be concerned. Why did temperatures in the 1930’s go up before co2 levels really began to rise? And your response to it demonstrates the truth of that refutation. Everyone refutes hanzo’s wrong-headed belief that global warming is continuing. It is not. As usual, hanzo keeps bringing up irrelevant arguments. Why? To muddy the waters. “Say anything” is an alarmist tactic, used when they lack honest, testable evidence to support their anti-science. Satellite data — the most accurate there is — shows conclusively that global warming stopped many years ago. But rent-seekers like hanzo don’t want to accept reality. His income depends on his promotion of the lie that global warming is continuing. Despicable. Thanks for the links. They easily refute hanzo’s nonsense. The OISM site makes monkeys out of those promoting climate alarmism, for which there is zero scientific evidence. Alarmists are self-serving purveyors of pseudo science. They are sounding a false alarm, for which there is no measurable, testable scientific evidence. They are lying for money. Shame on them.